GatorAnchor dolly makes transporting containers quiet and effortless. 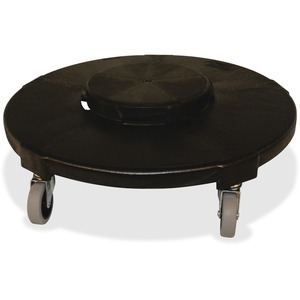 Heavy-duty, nonmarking casters transition over electrical cords, door and room thresholds, and uneven surfaces easily. Advanced construction reduces the noise emitted for daytime cleaning in areas that require minimal noise distractions. Large diameter creates a better center of gravity to help prevent tipping over. Dolly is perfect for use in hospitals, nursing facilities, schools, office buildings, airports and more. Dolly universally works with 32-gallon, 44-gallon and 55-gallon containers (sold separately).